After a stellar May in which Chicago tech companies raised a total of $558 million, June’s fundraising total may seem underwhelming. But the $124.8 million in investment money last month is nothing to scoff at. June was actually a better month than May for fundraising when you remove Outcome Health’s massive $500 million round. A total of 11 companies raised over $1 million, with three companies pulling in $70 million in a single day. Fusion Risk Management, Inc. led the way with $41 million in fresh funding from Catalyst Investors. All of the companies in this month’s top five pulled in over $5 million in new funding, with the top four breaking the $10 million mark. Check out Chicago’s five biggest funding rounds for June below. Bio: Buildout is a commercial real estate marketing startup that gives brokerages a one-stop shop for all their marketing needs. From a single platform, users can update websites, marketing materials, proposals, emails and third-party listings. A custom mapping function allows property managers to build retailer maps, making the search for new office space and buildings easier. News: Buildout is set to almost double in size with this latest round of funding. 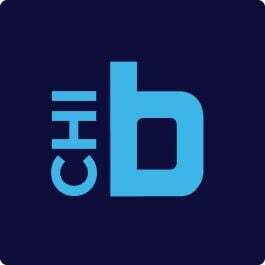 CEO and co-founder Vishu Ramanathan told Built In Chicago that the hiring will be split across several teams. “We’re going to hire primarily in development and client services, although we are also going to do some hiring in sales,” said Ramanathan. Bio: Snapsheet is bringing auto insurance into the mobile age. Its proprietary tech allows drivers to file and complete a claim on their smartphone. That mobile-first focus is designed to cut costs for insurance companies and reduce customer frustration. News: In the past year, Snapsheet has received $32 million in investor funding. CEO Brad Weisberg told Crain’s that the company’s latest round will be used to further develop its technology and expand internationally. Bio: ShipBob gives e-commerce businesses the Amazon edge by offering easy-to-use logistics tech along with access to distributed fulfillment centers. ShipBob’s software tracks metrics and offers in-depth reports while its distribution centers handle all aspects of packaging and shipping. News: Dhruv Saxena, ShipBob’s CEO and co-founder, told The Chicago Tribune that his company will expand to 100 or 125 people in the next two years, a substantial jump from the 35 people currently in its office. Those new hires will be for sales, marketing and engineering. ShipBob is also planning to open more warehouses across the country. Bio: Yello provides recruiting software for large companies with more than 5,000 employees. Its platform covers all aspects of the recruiting and hiring process, from posting job ads to communicating with candidates and scheduling interviews. Despite working with large companies, the technology is meant to bring a more human approach to the hiring process. Bio: Fusion Risk Management creates enterprise software that helps businesses plan for and navigate disasters in the digital age. In addition to its cloud-based advisory software, consultants also help clients craft programs tailored to their pain points. News: CEO David Nolan told The Chicago Tribune that its most recent funding round would probably be its last as the plan is to achieve profitability soon. Part of that drive toward profitability will involve hiring more staff, as Fusion Risk Management plans to add 100 new employees between its Chicago office and Rolling Meadows headquarters.